One year ago today, I uploaded my first book Aligned: Volume 1 onto Amazon. I had no idea what I was doing. I wasn't even sure if Aligned was any good. In fact, I thought it was probably terrible. But I had a story to tell, so I hit publish anyway. Hoping that if just one person enjoyed my book that I would be happy. That first month I sold a grand total of 5 copies of Aligned that month and made something like $1.70 in royalties. I had no idea what I was doing, but I think that is how most people start anything new. With a dream and a lot of hope, but ultimately clueless as to how to accomplish their dream. This time last year I had no clue how to sell books, but I quickly figured it out. And all of a sudden I went from selling 5 books to 50 the next month. I thought that was incredible! 50 books in one month, that was more than a book a day. I was finally selling books! But I had no idea how to get reviews, how to get people on my mailing list, how to grow a social media presence. I had to write more books. I will admit trying to figure it all out was a little overwhelming. There is so much to balance and figure out in this business. There is so much to constantly be learning. But looking back on this first year as an indie author, I can say that it was all worth it. It was beyond worth it because I got to live my dream and I continue to get to live my dream. I found that more than one person enjoyed reading my books over this last year. And if you are one of those readers I want to say thank you for making this first year so amazing! Without you I might still be writing, but I wouldn't be living my dream because my dream includes you. For this next year I have many goals: write more books, sell more books, grow followings on social media and my list. But most importantly I want to grow my tribe of readers like you that love what I do and find enjoyment from reading my books. I want to continue to write books that you love. It's been an amazing journey so far. This month I will sell a lot more than five books. I've sold far more than that today alone. I now have more then 1,000 likes on Facebook - many more than the handful I had starting out. 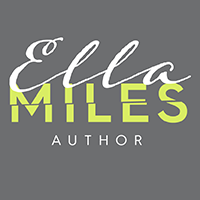 I have several thousand amazing readers that have signed up for my mailing list. I've written 11 books. And I've finally started to find my tribe of amazing people. I can't imagine what another year of writing is going to hold. I'm beyond blessed to have gotten to where I am, but I don't plan on slowing down any this next year. So thank you if you have joined me on this journey! Thank you if you are a member of my tribe of people that love reading the crazy love stories and have suffered through cliffhangers that I have tortured you with. Thank you so much! Update: This was won by Andi L. Congrats! I wish I could give every one of you a signed copy of Aligned: Volume 1 to say thank you for supporting me this year. Unfortunately, if I did I wouldn't have any money left to keep writing books with and I have many more stories to write! 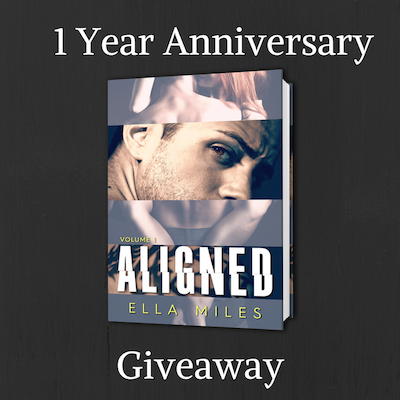 But I am giving away one signed copy of Aligned: Volume 1 to celebrate. So if you would like a chance at winning a signed copy please comment below and let me know you would love a signed copy or, for fun since this is election day, let me know what fictional character you would vote for if you could vote for a fictional character from a book. I'll pick a winner later this week. And don’t forget to vote for real today!